This is the Sassettis, a great family that fed us lunch frequently. The Hermana Sassetti always used the most interesting combinations of food, but it was always tasty. I think the husband was the former bishop of the ward. He was always at work when we came over for lunch, but we got to know the wife and kids really well. This another great family in the Rural ward. The Martinez family. They invited us often for lunch. This is Sergio (I can’t remember his last name) and his son Mauricio and his daughter Jessica. Sergio was not a member, but I think his wife was. His wife’s parents were the Loveras, in the ward. 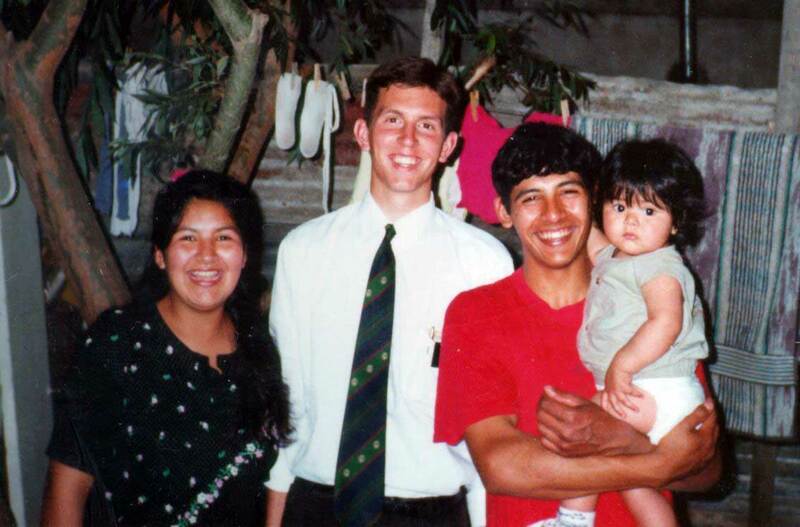 Sergio was very nice to us missionaries. 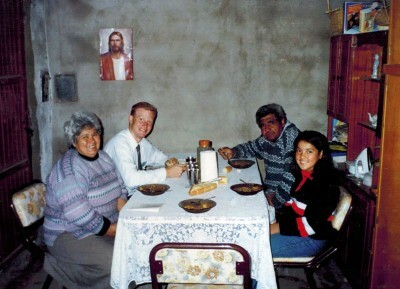 We would visit them often to strengthen them spiritually and they would invite us to lunch or dinner at times. 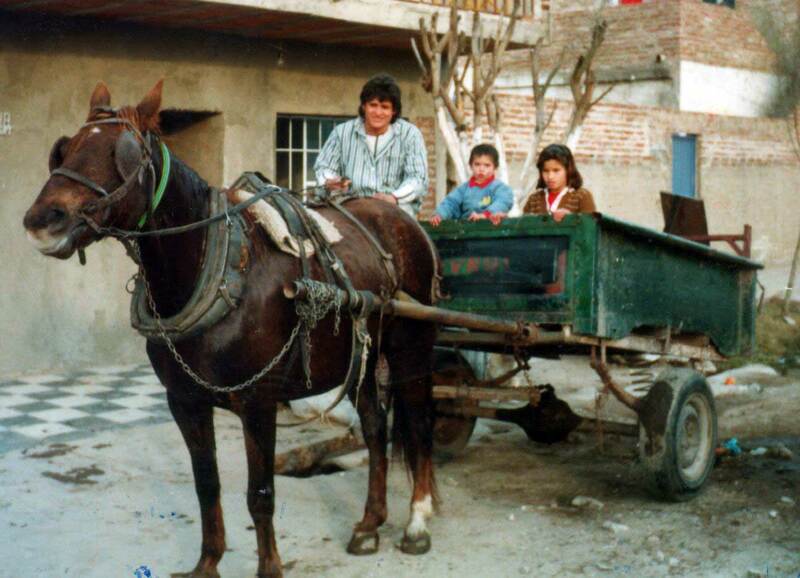 The husband would use this horse drawn cart to drive around neighborhoods selling fruits and vegetables. Sergio even once let me takes the reigns of his cart. This is the Andrada family. Brother Andrada is cooking some fried pastries dipped in sugary syrup. I’m sure there was a name for them but I don’t remember now, but they were a common in Argentina. They were sold in pastry shops or small neighborhood stores, kioskos. People would also sell them on the streets, which is what this family was preparing to do, to make some extra money. In fact, we met their kids my very first day in this area when they approached us and asked if we wanted to buy some pastries. This was a great family, very faithful, and I always wanted to do more to help them temporally, in the material aspects of life. Still they were happy and generous with what little they had. 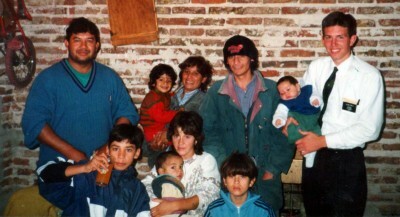 This was a great family; the Moyanos. Martin is 12 with the orange drink. 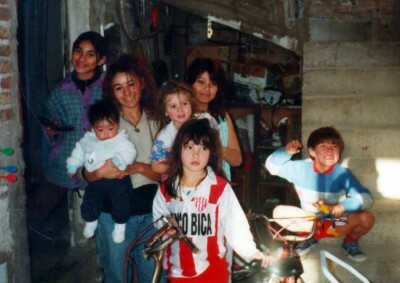 Maria Jose is his sister in the blue jacket. 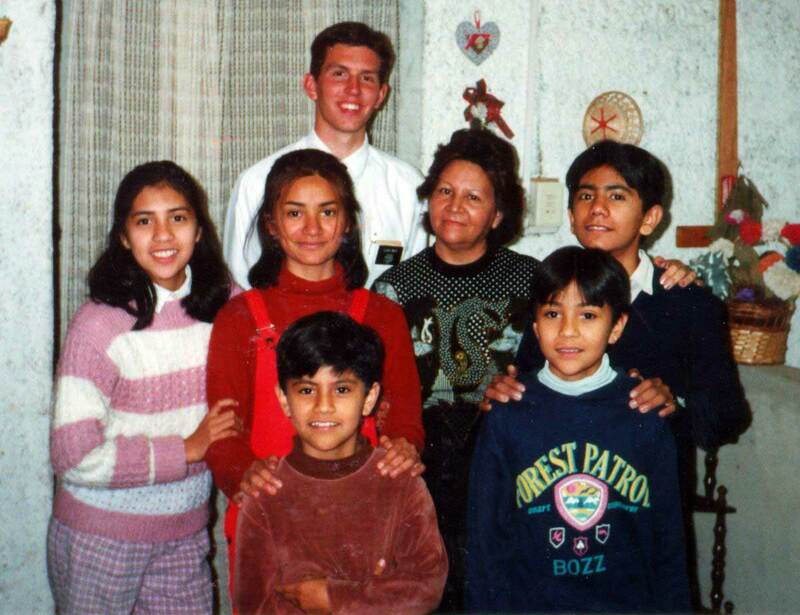 Emiliano is their younger brother in the red sweater being held by his mom. The dad is the one I the blue v-neck sweater. They fed us lunch and dinner frequently, which was very kind of them. But this was also the family that fed us huevos de torro without telling us what they were until after we had tried them. Pretty gross. There are actually two families in the photo, both of which lived in this house. The little baby I’m holding was the younger couple’s child and he was just a month or two old. Like many Latin babies, he had a ton of thick dark hair. I had hair clippers, so they asked me to cut his hair shortly after he was born. So I did. This is Emiliano Moyano’s birthday party. 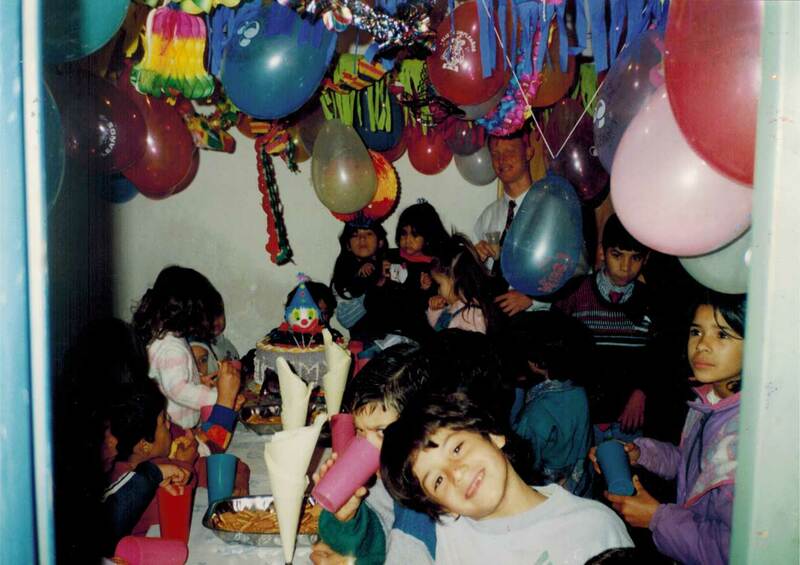 I was frequently amazed at how Argentines would go all out for their kid’s birthday parties. I guess a great many people in the US are just as guilty at that. Anyway, I remember many families didn’t have a camera, so they would rent one for the day when they had a birthday or special occasion. These are two young adults in the ward: Carina Campos and Fernando Benavidez. 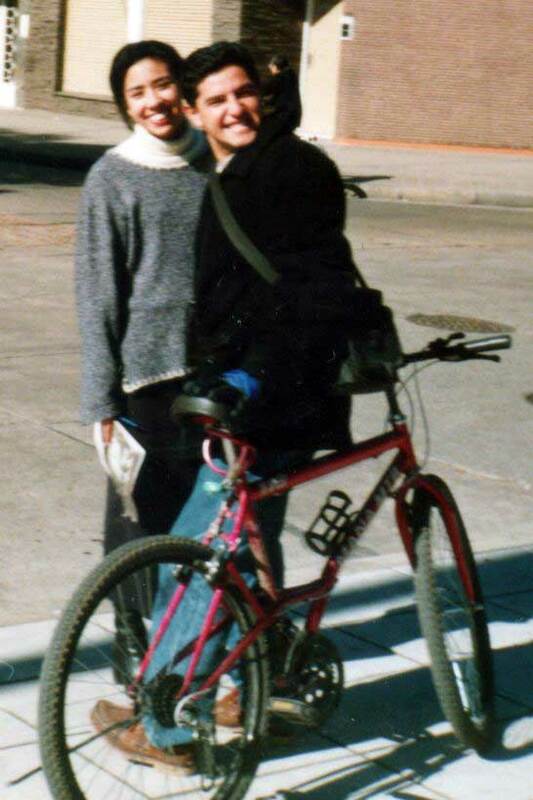 They were dating at the time and I assumed they would marry, but I guess it didn’t work out because a few years later I ran into her at BYU in a single women’s apartment complex. This was a part member family in the ward. The Alegre family (they’re name translated means “happy”. What a great name!) We visited them frequently in an effort to befriend and strengthen them. They fed us often. I can remember eating some delicious empenadas with them as well as some fried spinach rice patties. I don’t think all missionaries had a pallet for them, but I thought they were delicious. This is Obispo Picolo, the bishop of the Rural ward at the time I was there. We took this photo after a dinner appointment with them one night. This is the Benavidez family. They are a great family and strong in testimony. They had sent there older son on a mission (he is pictured above with his girl friend in the bike picture). They lived a modest life style, without many of the niceties we are accustomed to in the US, but they were happy and faithful. The Benavidez family fed us all the time. Brother Benavidez was the ward mission leader and very dedicated. It looks like we’re have giso, or something of the sort for dinner. Giso was a generic name Argentine’s often called stew or soup. And of course notice the segmented loaf of bread on the table. That was the most common form of bread in Argentina. You almost didn’t have a meal with it. This is the Craven family. 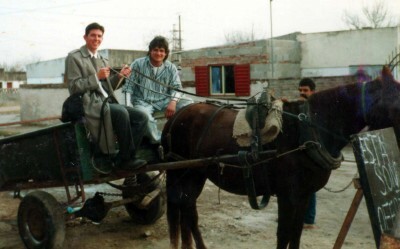 Brother Craven was a counselor in the mission presidency. The Cravens had two boys and also in the picture is Elder Maynes, Sister Thomas, myself, and Sister Vallejos. Here I am with Lenny Marquez, a remise (taxi) driver in the city of Santa Fe that lived near us. 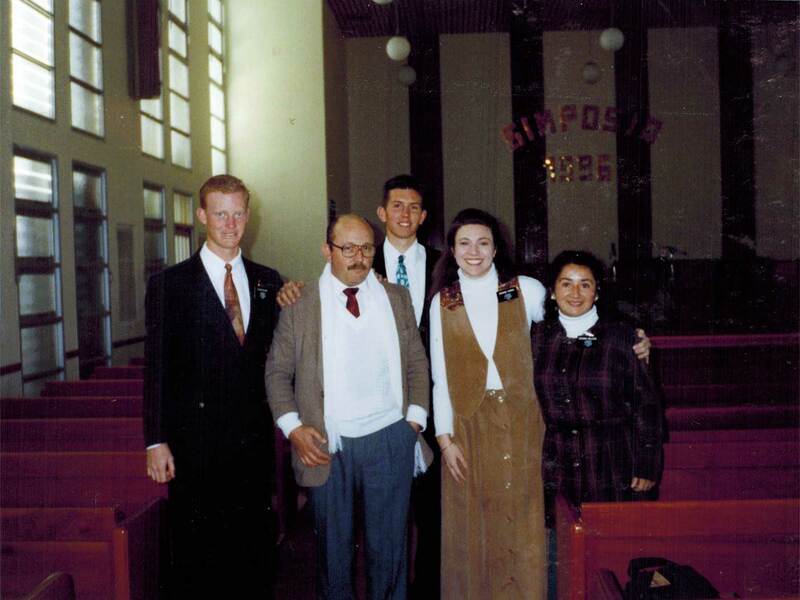 He was from the United States originally, so he was one of the few people in Argentina, besides other missionaries, with whom we could speak English. We tried to teach him the discussion and we did have a couple of visits to his house. But ultimately, he really wasn’t interested at that time in the message of the restored gospel of Jesus Christ. Perhaps we planted some seeds, though, that may sprout and allow other missionaries to teach and baptize him. 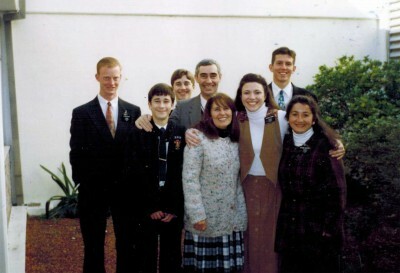 This is a family we had just found and began teaching in the weeks before I was transferred. Adrian Martinez and his girlfriend and their daughter. I’d be interested to know if they ever got baptized. 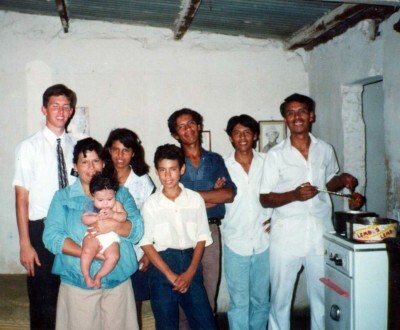 Though Adrian was interested in the gospel, he needed to get married to his girlfriend before he could get baptized (an obstacle we ran into quite frequently). 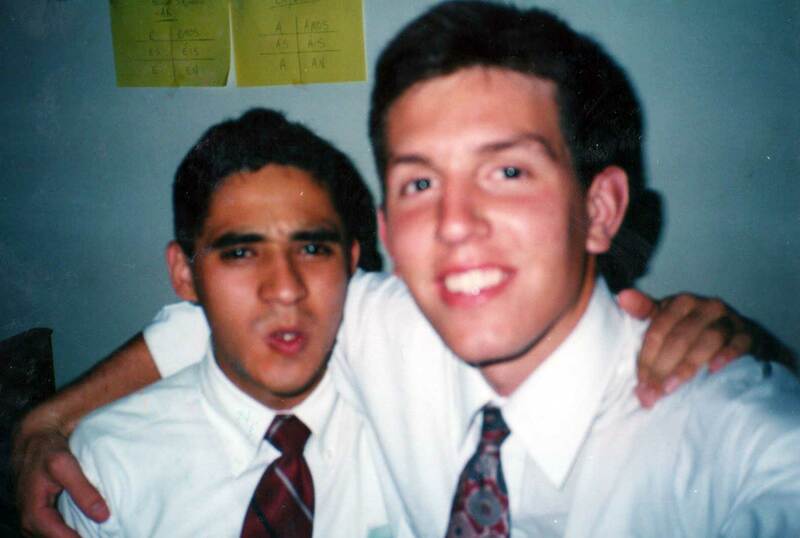 These are pictures of Elder Pinto and I. After only one month together, Elder Pinto was transferred. When we learned of the transfer, we asked the land lady to take our picture. Her hands were shaky and somehow I didn’t think the first photo was going to turn out, so then we took the selfie. Elder Pinto was a great companion, but my time with him was difficult because he did not speak any English. He was from Mendoza Argentina. This was only my fourth month in Argentina, so my Spanish was still pretty rough. I can remember dreaming in English at night and then waking up in the morning and the dreadful thought hitting me that I would have to speak Spanish all day long without the option of communicating in English. It was difficult, but the hard work paid off and my Spanish greatly improved. 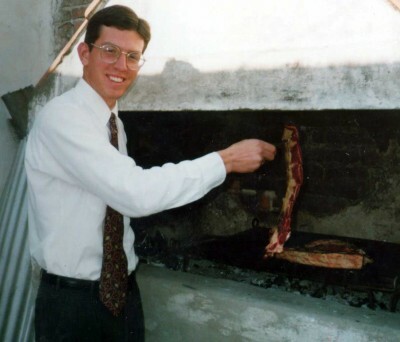 My first day with Elder Pinto, he bought me hot dogs because he thought all North American’s did. I don’t like them, though, so it turned out to be a funny story. Read it here in my article about my first transfer. This is Elder Maynes, my second companion in the Rural Ward. I think I caught him a little off guard in this photo. He had just arrived from the transfer and was unpacking his things. This is a picture of me with my second companion in the Rural Ward, Elder Maynes. 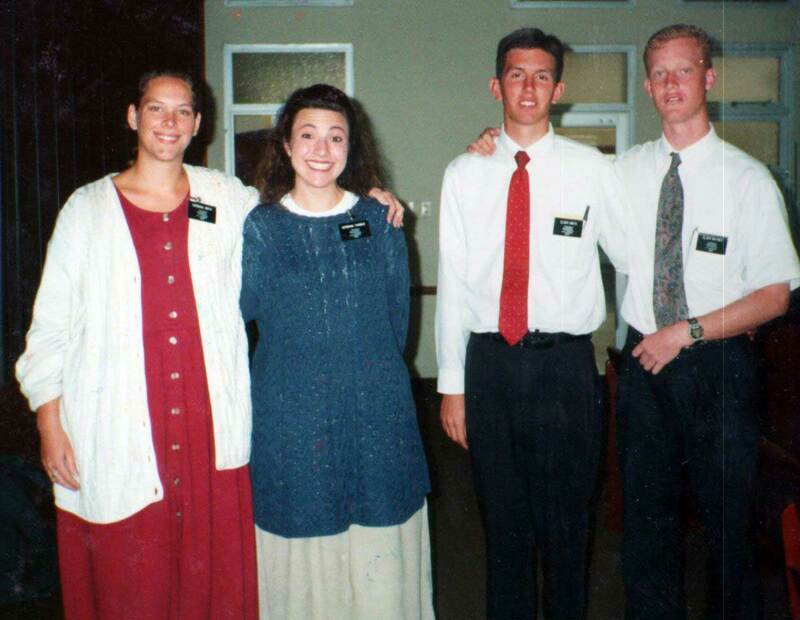 Also in the photo are the other sister missionaries in our district, Sister Smith and Sister Thomas. Here I am with the zone leaders, Elder Davis and Elder Rindlisbacher. 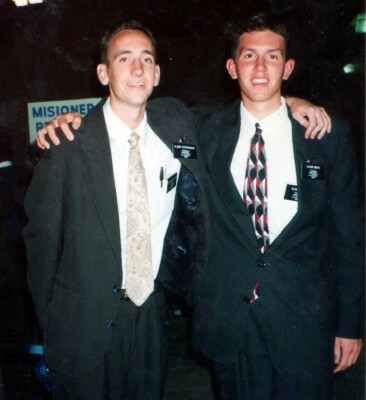 I did a couple of day-long exchanges with Elder Rindlisbacher. In fact he was with me during the experience I wrote about when the power of the Book of Mormon was manifested. 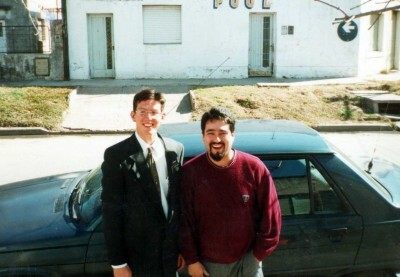 This is Elder Stephenson and myself at a regional conference in Rosario. I believe Elder Boyd K. Packer was visiting. 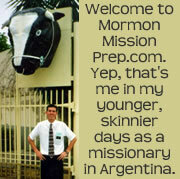 Elder Stephenson was from the Frederick Maryland area like myself. Here is our Rural District with Obispo (Bishop) Picolo. We are in the chapel of one of the nicer church buildings I saw in our mission. It was owned by the Church (rather than rented was the case in many of my wards and branches there). It was two stories high and I believe it may have housed multiple wards. This is Elder Maynes and I with Hermana Thomas and Sister Epul, the other sisters in our district. 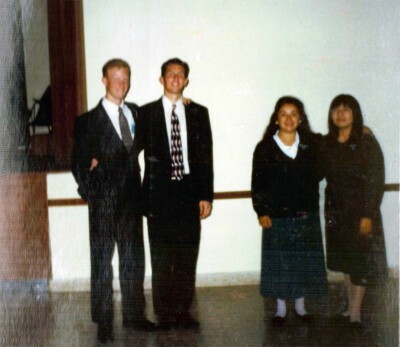 This picture was taken on Preparation Day (P-Day) when Elder Manes and I went to the Church and played basketball with Jose Luis and Orlando Andrada. Notice how the basketball standard has a soccer goal under it. The soccer goal got used a lot more than the basketball. But the missionaries used it for basketball, not every week, but once in a while. Here I am making crepes. This is a Smith family favorite recipe that comes from my dad when he served his mission to France. I’m kneeling beside a propane tank with a burner attached to the top. We did not have a stove or oven in the apartment, nor a kitchen, nor a fridge, for that matter. The owners, in a house on the same property, would let us use their refrigerator if we had something that needed to be kept cold. I’m sorry the apartment appears quite messy in this photo. I assure you that we generally kept the apartment neat, clean, and organized. Here I am cooking some asado, Argentine barbequed steak. 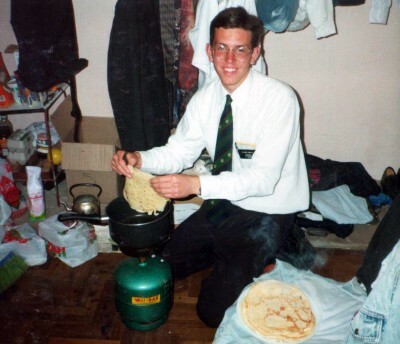 We had it served to us from time to time, so Elder Maynes and I decided one day that we would try to cook some ourselves. I don’t think it turned out as well, because we never tried it again during my mission. 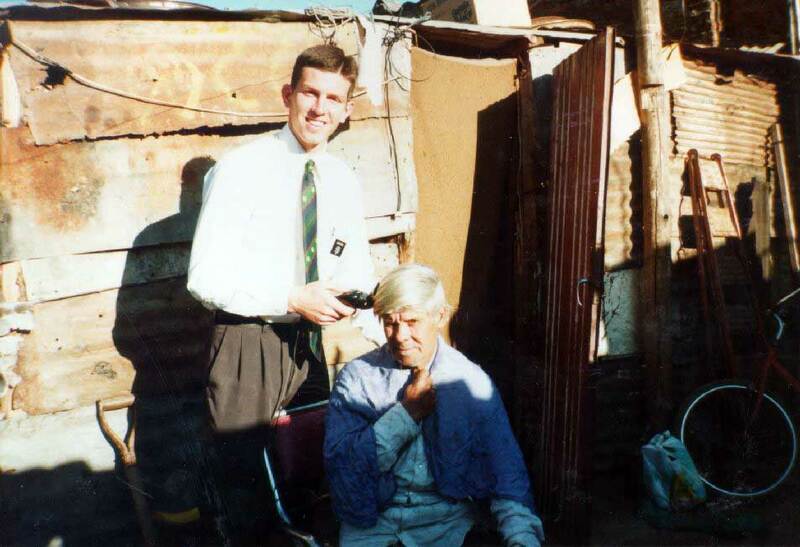 For some reason I had the thought to bring hair clippers on my mission and it turned out to be a good idea as I put it to use on other missionaries and and many members. 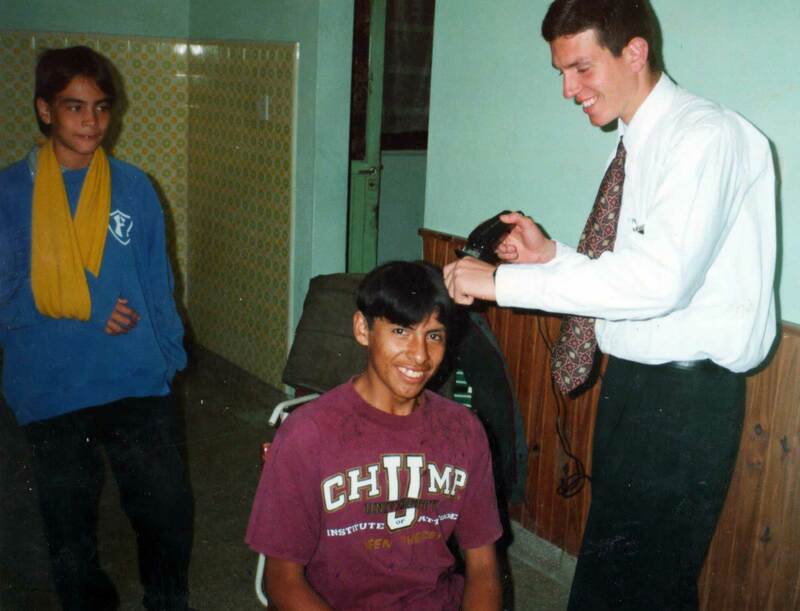 When Elder Pinto was transferred, I gave him the hair clippers and asked my mom to send me a new set. Here I am putting those hair clippers to good use on Orlando Andrada. The other young man is his friend, Jose Luis Osuna. I was always anxious to give the young men missionary-style hair cuts at a good price: free. 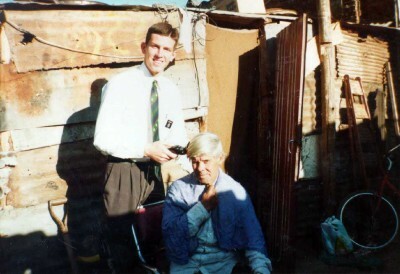 Haircuts was often part of my weekly service as a missionary. Here I am cutting the hair of a member of the ward named Hermano (Brother) Aquino. This family was very poor. As you can see, there home consisted of whatever scrap sheet metal they could find. Four walls and a roof made up their modest home. They had electricity, though, and a television. Often people in circumstances like this would want to come to church, but since they had no way to lock their home and secure their belongings, they felt they needed to stay home. 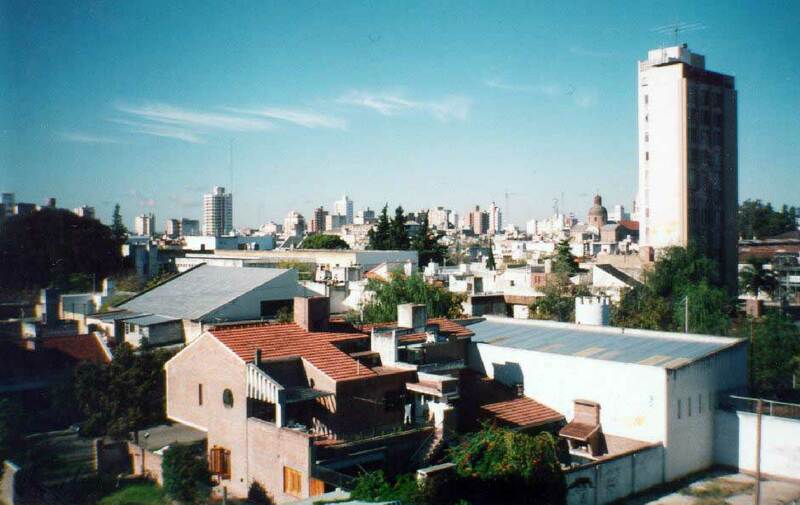 These are pictures from the roof of my first apartment in the Rural Ward of Santa Fe, Argentina. The first is looking into the city, the second is looking away from the city center. Our apartment was on the edge of our area. Our area went away from the city. The sisters in our district had the more urban areas of the ward because it was safer. 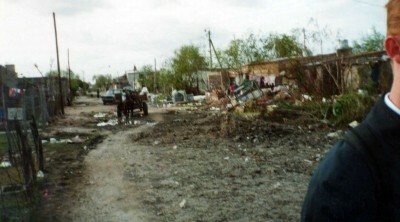 These are two pictures of one of the more run-down areas of one of the poorer neighborhoods we visited from time to time. There were a handful of members that lived in this neighborhood, and we would occasionally find people here to teach discussions to. 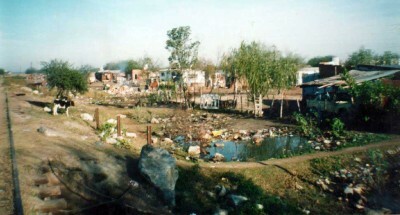 Though no one in this neighborhood, or in our entire area for that matter, was baptized while I was stationed there. That fact made this one of my hardest areas. 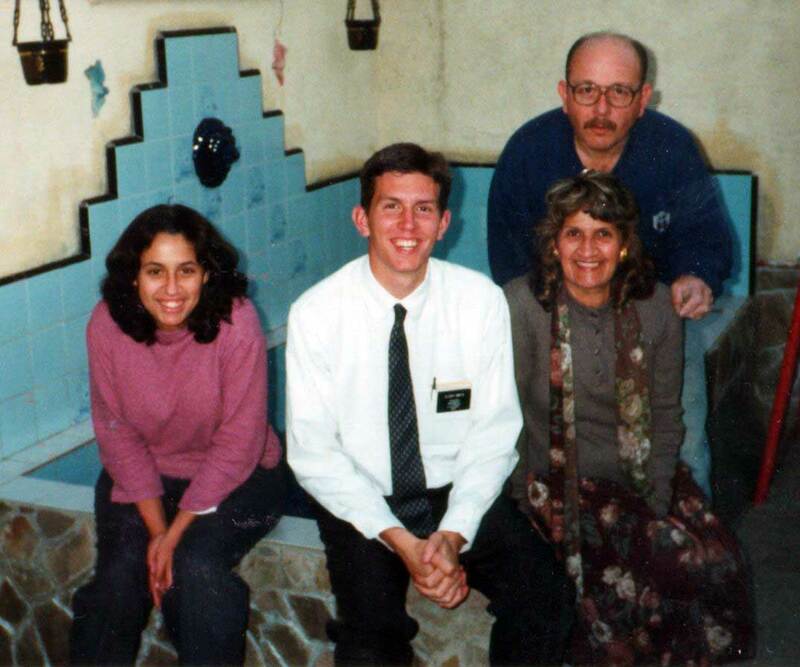 It was the longest baptismal drought on my mission. I was in the Rural ward for 5 months. Anyway, back to the photo, the little cow on the left of the top one, tied to a tree by the train tracks was a funny situation to me which is probably why I snapped this photo. 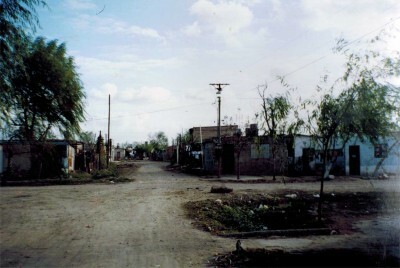 This is another picture of that poor neighborhood. 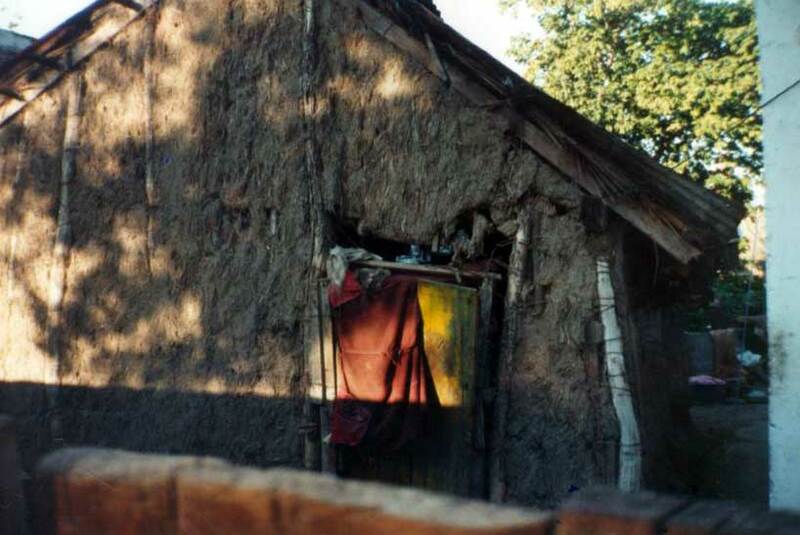 I took this photo because the house has mud walls. That type of construction was rare but not unheard of, and must have meant the family inside was very poor as to worldly possessions. 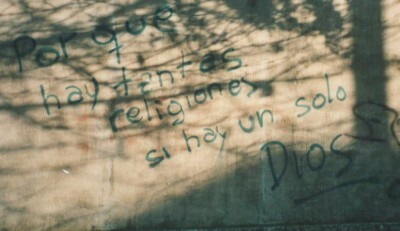 I couldn’t believe it when we came upon this piece of graffiti. It says, “Why are there so many religions if there is only one God?” This is a great lead into the first discussion about Joseph Smith and how a similar question led him to study the scriptures and pray and receive a marvelous revelation we know as the First Vision. 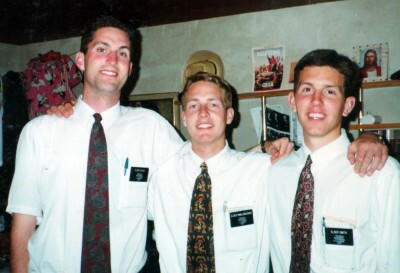 If we only could have found the perpetrator we could have had a great discussion about the apostasy and the restoration of the gospel of Jesus Christ in these latter days. 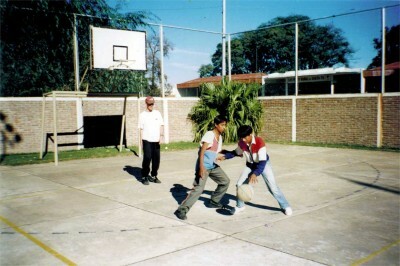 In our area was the soccer stadium for one of the city’s major soccer teams: Union de Santa Fe. Union was doing well this year, and I believe this was a championship game or one of the games leading up to the championship. The city was going crazy with excitement. Along the streets around the stadium were lots of vendors selling flags and shirts and other branded paraphernalia. At first we thought it presented a great opportunity to talk to the vendors about the gospel. Then we realized most were from out of town and so the teaching opportunities would be limited. I always wanted to see the inside of this or another Argentine soccer stadium but I never had the chance. This is the Benavidez family’s neighborhood, “Barrio Villa del Parque” (Park Village Neighborhood) according to my notes. Notice the “zanja” in the bottom right of the photo. 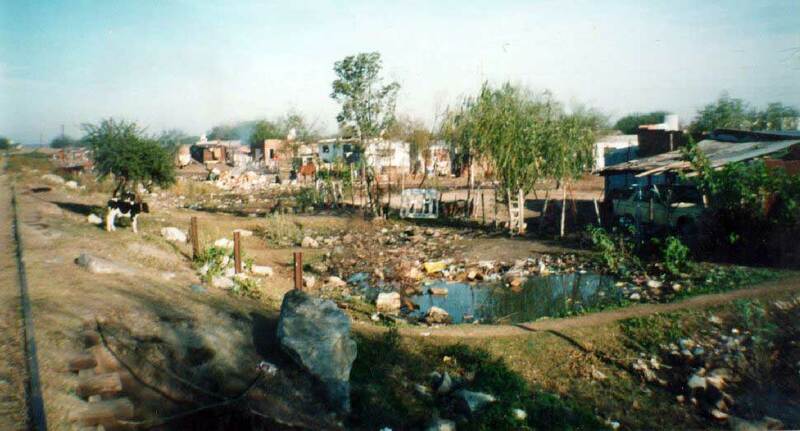 The zanja is the drainage ditch on the side of roads, which in certain parts of Argentina, always seems to be stopped up and would become cesspools of filthy water. 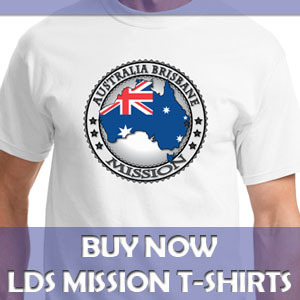 Disgusting, yes, but part of life there and part of my memories as a missionary. This is a picture of our apartment in the Rural ward in the city of Santa Fe. Particularly, it’s a picture of the bathroom. While it’s pretty typical for an Argentine bathroom, it has some features that distinguish it from typical bathrooms in the U.S., which is why I snapped the photo. Notice the box connected to the shower. That device was filled with copper pipes that the water ran through. Flames instantly heated the water as it came out. 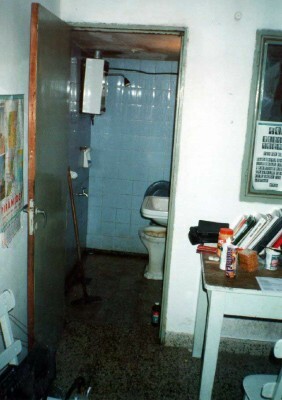 Also notice that nothing separates the shower area from the sink or toilet, a common layout in Argentina. Notice the squeegee off to the left in the bathroom, that was used to clean up the floor after a shower and push splattered water down the drain on the floor. 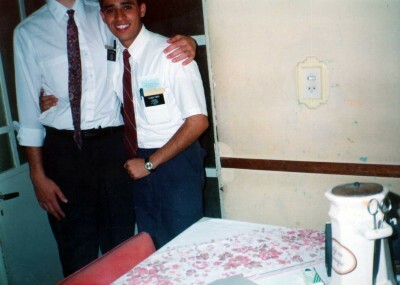 Off to the right of the bathroom is the desk where Elder Pinto and I would study each day and our beds are right behind the person taking the photo. On the desk you can see some of the snacks I used to eat frequently in this area: Pepitos, which are were chocolate chip cookies. I couldn’t get those in all areas, so it was nice when I could. And there is a stack of wheat crackers and a little tub of strawberry jam. I’m not sure who introduced me to that combination, but for a time I was really enjoying jam on crackers. It also looks like there is a jar of Tang powder. Tang was one of my favorite drinks in Argentina, when we could get it. 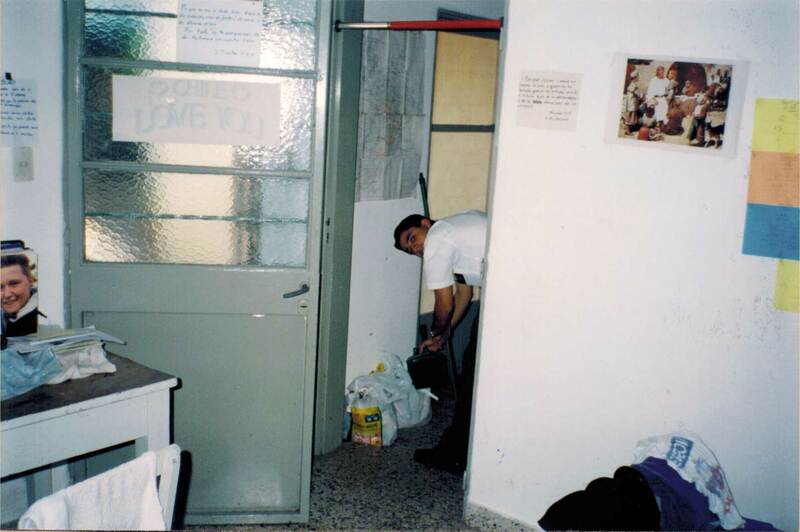 This is a picture of Elder Pinto taking out the trash. Who knows why I snapped this photo. 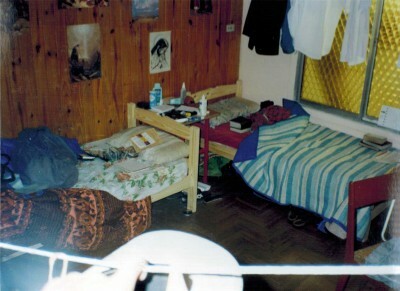 It is interesting to note the yellow, orange and blue papers on the right wall. Those, as I recall, were cheat sheets to help learn Spanish verb conjugations. I think generally, Spanish is an easier language than English, but those verb conjugations could be very tricky. Click here to read more about my experience learning Spanish. This is the second apartment in Rural. 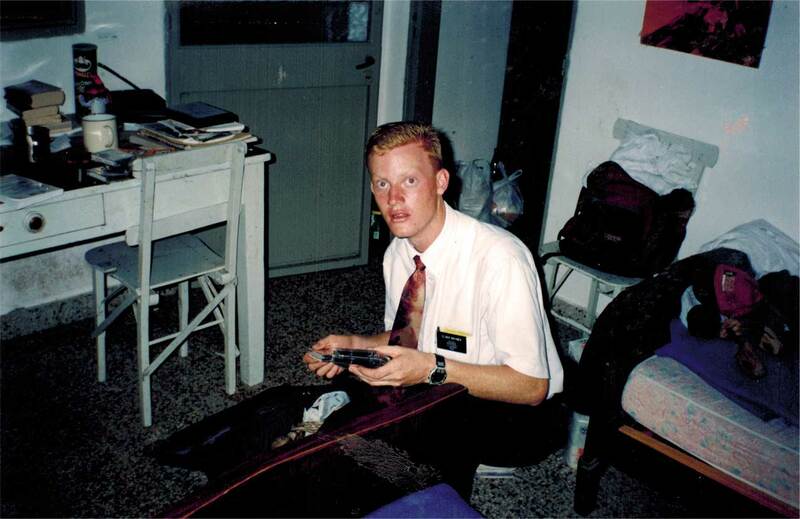 Not long after Elder Pinto was transferred, we had to find a new apartment. This one was a little crammed for space, but it worked out fine. One thing this photo brings back to my memory is sleeping each night with a cap on. Winter came while I was in Rural and it started to get cold. Our apartment had no heat, which really only would have been needed at night. I found it difficult to sleep at night because my head was cold. I tried sleeping with my head under my blanket, but I felt like I was going to suffocate. That’s when I realized why the night cap had been invented all those years ago. I bought a comfortable winter cap to wear at night while I slept. Problem solved! In this ward there was a sister who would invite us to lunch and would make an oatmeal based chicken soup. It was a little strange to me at first, but it was very delicious. 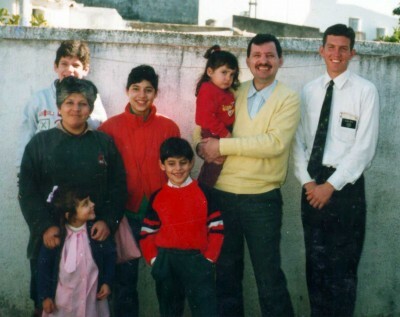 There was a family that invited us over from time to time and usually served polenta with chicken and tomato sauce. Again, most missionaries I knew did not like polenta. It’s a lot like grits. But my mom is a southerner, so I grew up eating grits, and I really enjoyed the polenta. 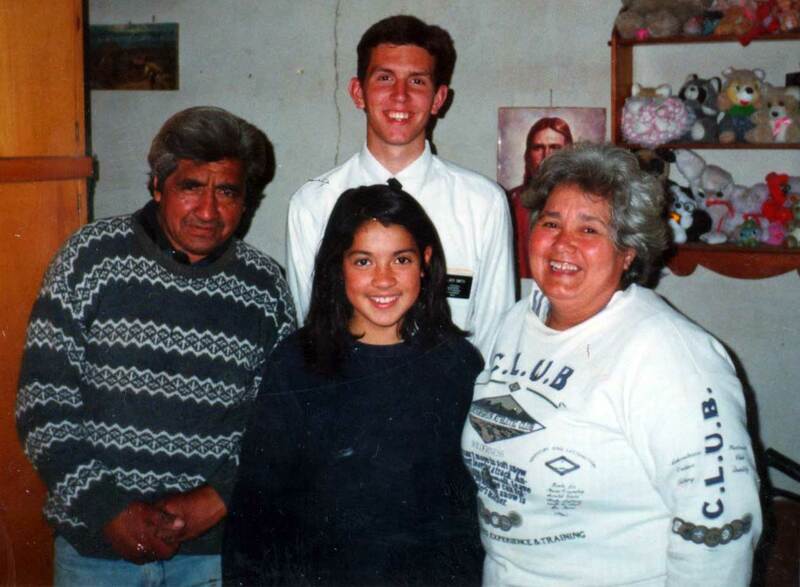 During my first month in this area, I would get up an hour early to go jogging in the morning with Elder Pinto. In this area we would often take the bus from the far end of our area back to our apartment when it was getting late in the evening and we needed to get back quickly to meet our curfew.